from its winter restoration on March 14!! 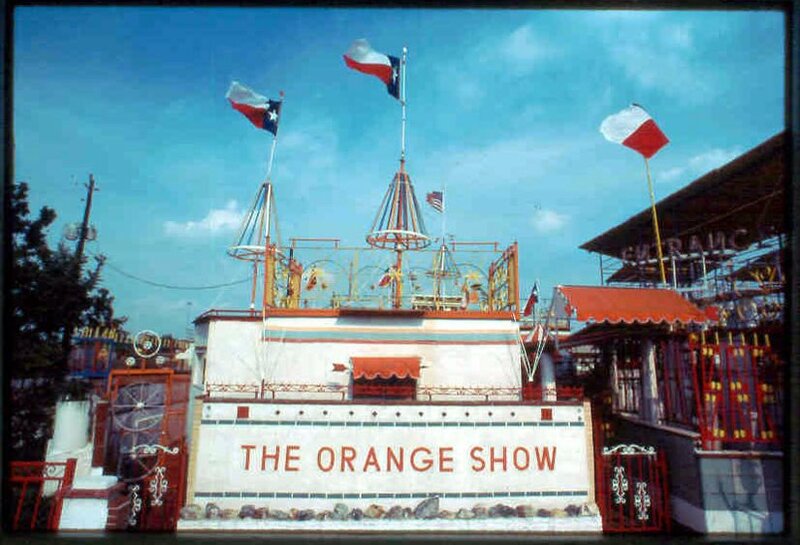 Join us as we open The Orange Show for the season with a special concert benefitting Galveston’s Old Quarter Acoustic Café Hurricane Ike recovery. Musicians Robert Ellis, Jon Hogan, Matt Harlan, John Evans and Carley Wolf take turns celebrating the lives and works of legendary Texas songwriters Townes Van Zandt and Blaze Foley. The Easter Orange Hunt, an Orange Show tradition! It’s an afternoon of fun for kids and families with hidden candied treats and healthy oranges. So bring your basket and run wild through the colorful maze of The Orange Show monument. May 9 – 1pm HOUSTON ART CAR PARADE rolls!